Gracing the pages of ELLE Germany’s February 2017 issue, Heather Marks shows the new way to wear beige. The Canadian beauty channels retro vibes as she layers up in neutral trench coats and jackets. 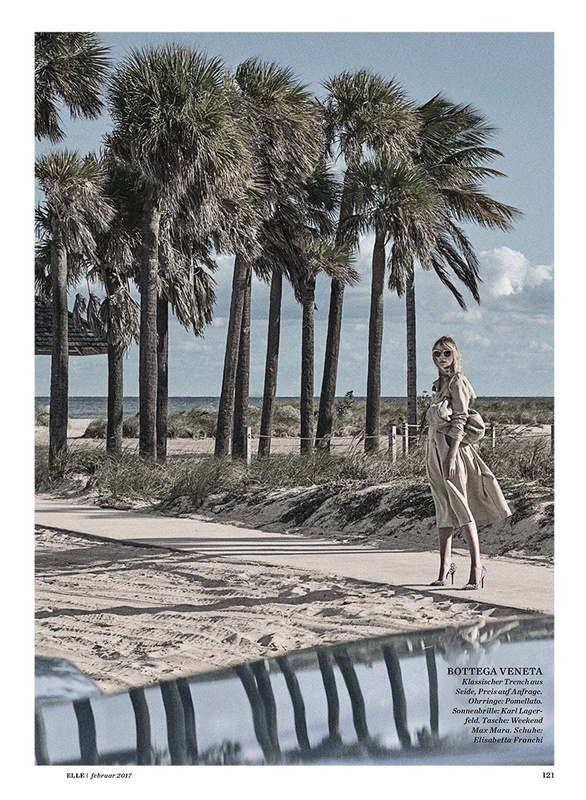 Photographed by Joshua Jordan and styled by Kathrin Seidel, Heather poses against a backdrop of sand and palm trees. With a vintage car by her side, Heather looks like a 60’s movie star. The blonde charms in the designs of Valentino, Prada, Jil Sander and many more. “Heather Marks Embraces the New Neutrals for ELLE Germany.” Fashion Gone Rogue. http://www.fashiongonerogue.com/heather-marks-elle-germany-2017-photos/.